Go Team USA and Team Korea! 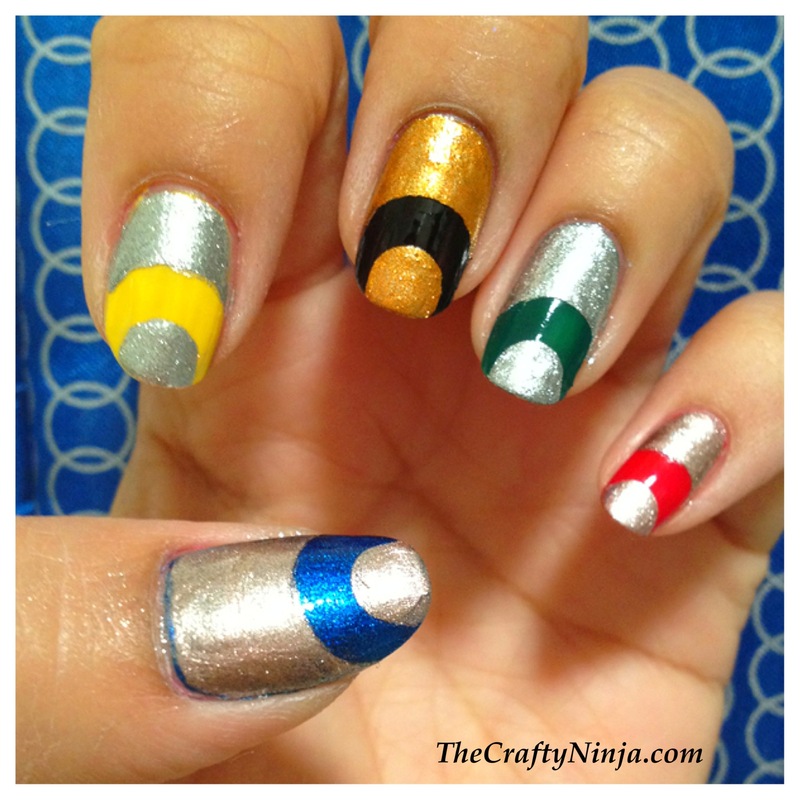 Here are my Olympic nails to support the athletes who are competing for the Gold, Silver, and Bronze. 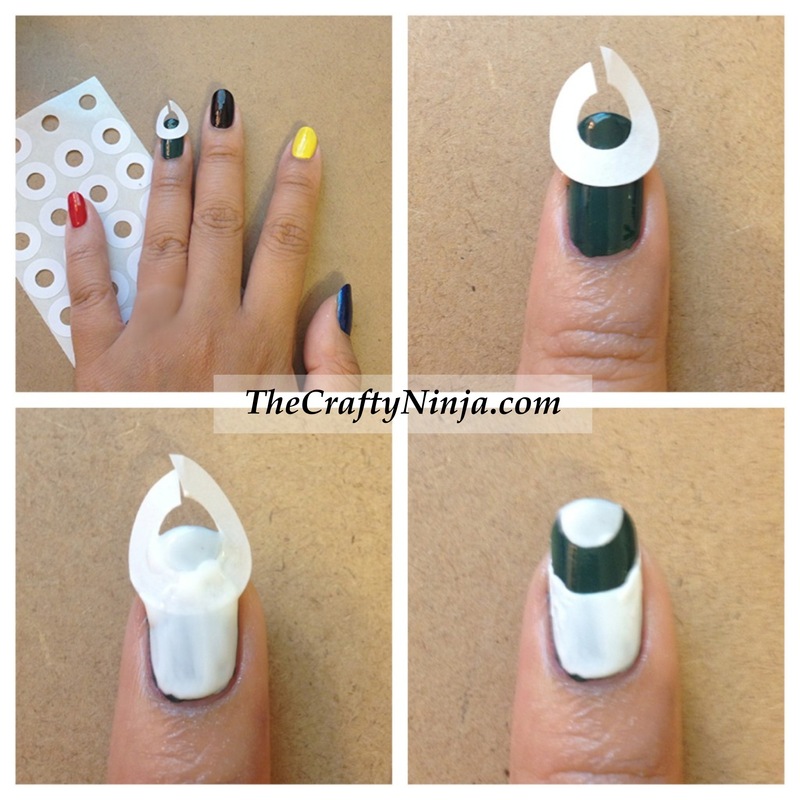 To create this nail art you will need Reinforcement Lables, purchase here. 1. Paint each finger in the color of the Olympic rings: Blue, Yellow, Black, Green, and Red. 2. Next wait for the nails to completely dry. 3. Cut the Reinforcement label and placed it on the tip of the finger and pressed to stick. 4. Paint over with nail polish. I didn’t like how the white polish looked so I decided to paint my nails with Gold, Silver, and Bronze polishes just like the Olympic metals. Seal with a topcoat.